While many women had been bitten by the riding bug in Mumbai, Delhi, Bangalore and Pune, the fever was yet to catch on in Ahmedabad. 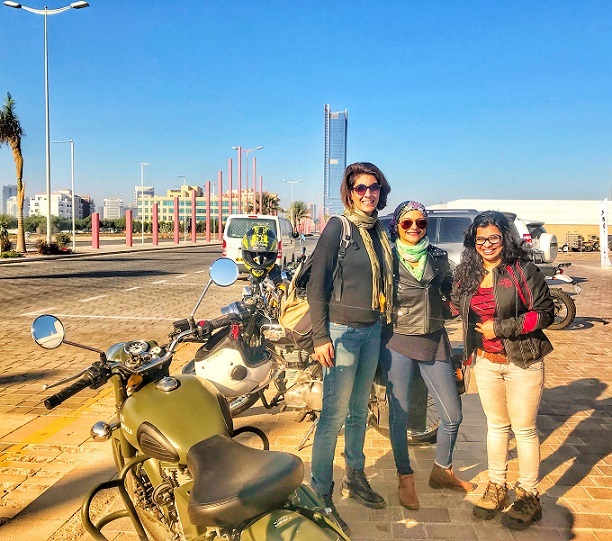 After some digging, Anjaly Rajan realised that the reason Gujarat was not seeing enough representation in terms of women riders was due to the fact that many of them did not know how to ride a bike or have access to one. 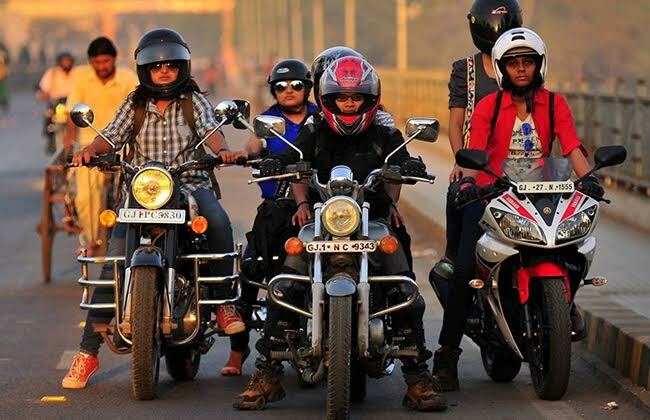 On August 29, 2012, she decided to form The Riderni, Ahmedabad’s premier women’s-only biker club, and the fact that she remembers the exact date of genesis proves how much it means to her. She began by speaking to the families of aspiring women bikers to understand their apprehensions and employed the help of a friend who provided bikes when the group needed them. 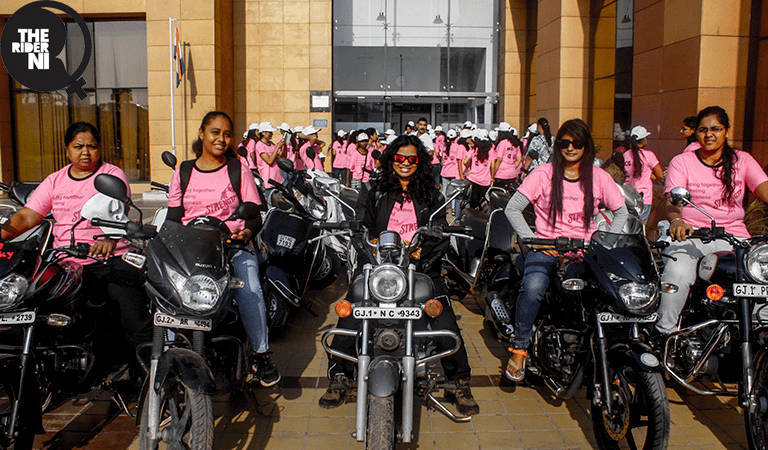 Rajan hopes to take The Riderni to such great heights that the city of Ahmedabad becomes synonymous with the group. With her current force at 23, with 3 women even having purchased their own bikes, that dream is well on its way to fruition. I never thought of biking as something only men could do, so my curiosity with motorcycles didn’t particularly stem from the premise of them being ‘forbidden fruit’. I was enthusiastic about riding in general, so I asked my friend to give me riding lessons on his Suzuki Fiero in the summer of 2005. I always make it a point to plan a trip only when I’m completely healthy, both physically and mentally. I keep updating my folks about how much distance I’ve covered and where I’m going to be staying when I halt. My helmet has my blood group as well as an emergency contact engraved on it in case of any accidents or emergencies. Navigation: I study the route thoroughly as it helps me understand the weather conditions and plan stops accordingly. It also allows me to gauge the kind of clothes I should carry. Accommodation: I always book the hotel ahead of my trip and ensure that the parking is safe for both women and superbikes. Stock: Just like the human body requires first aid in case it sustains injuries, I prepare my bike for all eventualities so my tyre-puncture kit is accessible to me at all times. Besides, I make it a point to keep the contact of a mechanic and the Road Safety Authority on speed dial. Self-care: I particularly avoid junk food if I’m travelling to a different street or country. I hydrate myself enough before a ride and carry a hydra pack for the journey. Gearing up appropriately is essential, so I wear a full-face helmet, a safety jacket and clothes made out of specially-crafted reflecting material if I’m riding before sunrise or after sunset. 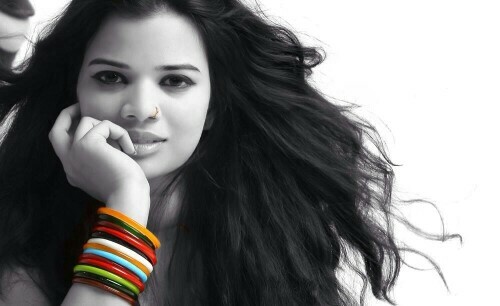 The response to Riderni has been so terrific that I’m currently planning on expanding this platform in the UAE. 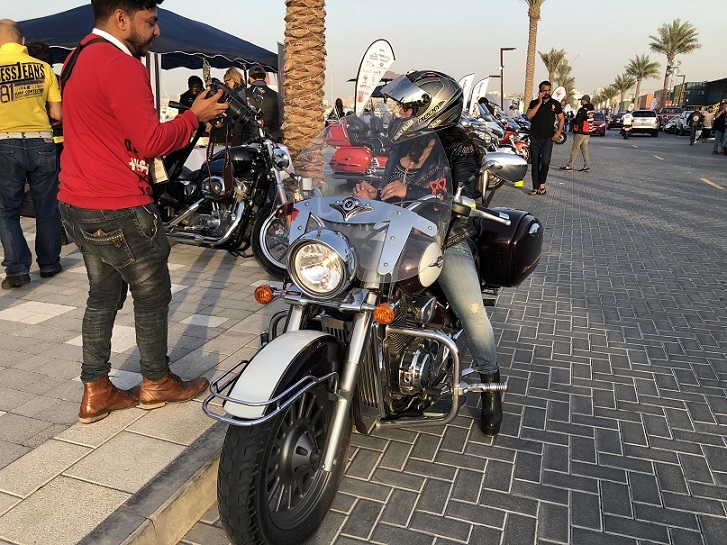 In fact, I even have a Suzuki Intruder in the UAE, which goes by the moniker Alize. That being said, my hometown of Kerala remains unbeaten when it comes to my favourite road trips although I’ve ridden across the UAE and Thailand, besides numerous Indian states. The Atlantic Ocean Road tops my list of road trip destinations because I believe it is the most thrilling and scenic route in the entire world. People meditate to empty their mind of clutter — that’s what riding does for me. Other women have recounted bad experiences while they’ve been on riding tips, but I consider myself very lucky to have escaped all of it, especially since I travel alone to so many different places. This is why I created Riderni, to empower other women to test the limits of their strength.